I just deployed an update, v4.00.4, which fixes all the highest priority issues that were reported to me. This is the best version yet, there are some good fixes in this one. Sorry for anyone who ran into these problems. Just like the first two threads, I'm looking to hear everyone's feedback on the new version or anything related the game at all. - Android: The app now obeys the system orientation lock. - Fixed a bug that caused army numbers to appear wrong or other visual glitches in real-time quickmatch games when push notifications were enabled. - Fixed profile page achievements. Thanks to Bane for reporting this. - Fixed a bug that could cause an error when viewing settings while not signed into an account. - The Coins page now appears slightly better on mobile devices. Thanks to Master of Desaster for reporting this. The app has also been published to iOS, which will hopefully go live soon depending on how long Apple's review process takes. I will soon upload the app to Kindle Fire devices. I am also continuing to work on a new graphical design. I'll update with images once I have them. Hope you're not working yourself too hard, because the way you've been managing this stuff post-release is downright admirable. smoky black on the Store tab doesn't list how mush coins it costs. On https://www.warzone.com/Coins/ the second paragraph has two switched words. Alternatively, all coin open games are listed here. should be -> Alternatively, all open coin games are listed here. EDIT: That page should perhaps list open coin tournaments too? The store tab currently only lists coin costs if you can afford it. Perhaps I should reconsider that though. I think it works both ways but I agree your way is better. I'll switch it. Huh, I thought I fixed that! Thanks for letting me know, I'll check why my fix didn't work. https://www.warzone.com/Unlockables has a small bug. The link for the blockade/abandon card is not working properly. Is there a specific reason not to rename the abandon card to emergency bloackade card on this page? I updated on Windows Standalone but I don't see the update in Google Play. I restarted my phone, still don't see the update. Anyone else not able to update Android? It's an oversight, I'll fix it, thanks. It can take Google a few hours to publish the update. I just uploaded it 1.5 hours ago so it should appear soon. Right now the quickmatch page only displays how many wins you have. Would it be possible to also display how many you lost? Or maybe a list of the games like a ladder page? Would also be nice to be able to see quickmatches of other players, ideally listed by template so it would be possible to watch a few games when getting a new template. Great work anyway, love the quickmatch system. 3. After you finish deploying, it switches directly to attack mode (unless you use the slider). I'd prefer it not do this because i often will need to switch back to deploying. 6. On mobile, the orders page covers a lot of map, so if you close it, you miss cards being played and players being eliminated. Is it possible to have these events appear elsewhere? Maybe have the player tab flash when somebody is eliminated? 7. On mobile, the watch turn window covers a decent size piece of the map, could this possibly be hidden like the other tabs, or if not reduced in size in some way, such as using the buttons on a remote to represent the actions instead of words? 8. Clicking on a players name no longer shows how many territories they have, which is useful in when games start and you aren't sure how many territories you have. I know you can check statistics, but in large games this could take a little while to find your name. 9. At the end of the turn when you get cards, they appear in the card bar at the top, but are really small, could they be larger. 10. You might have already fixed this, since I haven't noticed it today, but sometimes I can't seem to click open on the chat tab on mobile, so a slightly larger hitbox would help with that. Would it be possible to also display how many you lost? Or maybe a list of the games like a ladder page? I agree it would be a useful feature -- feel free to add to Uservoice. This is something I want to do as well, I just have to prioritize critical fixes first. Feel free to add to uservoice too, it's helpful for me to get vote data so I can prioritize things correctly. Copying chat can be done by long-clicking the chat message. I'm not sure why you can't paste -- what problem do you run into when you try? It is intentional. I'm not sure why you'd want them to vanish faster, can you explain or show me a screenshot of where it would be beneficial? 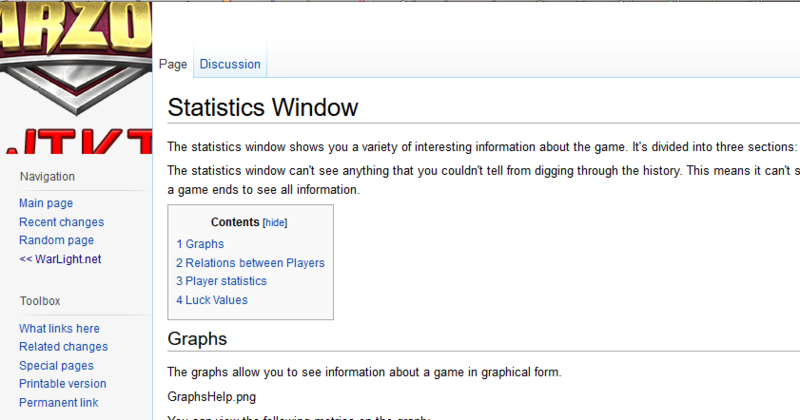 This was moved to Game -> Statistics. I know it's painful when things move around, but give it a shot and let me know if you're able to get used to the new location. Unity seems to hit the CPUs way more than the GPUs -- at least the web version on Linux. Could you make it possible to purchase membership on the mobile app? It is -- check the Store tab. But the link won't appear since you're already a member. I fully agree here. This sometimes leads to errant attacks for me. Furthermore, previously i could press Y to commit my orders (mac, firefox, german keyboard). With the unity client in firefox, i need to press Z (on a german keyboard layout Z,Y are switched compared to American keyboard layout). Apparently, the unity client ignores the defined keyboard layout for whatever reasons. I don't think the Quickmatch UX is intuitive enough, as I (and others- as you can see on the forum and elsewhere) ended up accidentally signing ourselves up for the multi-day queue or getting unexpected real-time games. Could it be made clearer how the system works? I think the only noticeable "help text" for Quickmatch right now is the "Play Now" arrow the first time you use the Unity client, but that did not tip me off as to what the button/check-box actually does. Since it looks like multi-day Quickmatch has a join/leave setup similar to the multi-day ladders, it might help to copy that UI pattern over to Quickmatch. I'm still not sure I understand how to actually use the Quickmatch system properly. EDIT: It might be useful for you to know exactly how I'd misinterpreted it earlier. I thought clicking the checkbox + "Play Now" meant that I would get 1 game, either real-time or multi-day. To me, having a button + a checkbox without any further context means that the checkbox somehow modifies the button. It would be nice to have some clarification somewhere that "Play Now" = 1 real-time game, checkbox = "put me on the multi-day queue." The wiki has the title of WarLight Wiki. Shouldn't it be WarZone or Warzone Wiki? It would be nice to have some clarification somewhere that "Play Now" = 1 real-time game, checkbox = "put me on the multi-day queue." Yep, that's exactly how it works. For now it requires zooming in to see things under there. I understand it's an issue and I'm working on it. I wrote more details in the previous thread. Really exciting to see you work like that on fixing stuff. Keep going fizzer! The wiki uses absolute positioning. This could easily make the wiki look bad on small screens. This might take a while to fix fully and thoroughly test. I wouldn't consider this to be a high priority based on the other feedback that's out there. I also agree here! It's very annoying to have it switch from deploy to attack because sometimes I want to go back and deploy again in other places. I would love it if you changed this back. When watching history I cannot see the top left corner of the map and cannot scroll far enough to make it visible. I am also dissatisfied by how this works. These 2 issues, plus the commit button being to close to the attack and deploy button without a confirmation, are related. I would love to see a redesign on these. But players that use quickmatch for the first time don't know that's how it works. They need an indication that checkbox means Multi-Day, and that "Play Now" means Real Time. Quickmatch games: I see the slider goes up to 5, but allows manual input. I have tried 7 or 10 as values, but I never got more than 5 games at the same time. Either we shouldn't get more than 5 at a time, or manual input should be disabled? @viralgoat, I think it'll be the fact that nobody is available. For instance you only get more QM games if it isn't your turn on any existing QM game. Also it has to match you up with certain people that have the same templates activated as you do. Once more people start joining the QM multi day games, I think you'll find that you will start getting 7 games at once. Oh, i guess i didn't click long enough. By paste I meant copy then paste chat, so since I thought I couldn't copy chat, I couldn't paste it. Sorry about that. This would be most useful in games with lots of deployments, since by the time it finishes deploying, the first ones have been around for awhile, or for people who want to get through deployments as fast as possible. However I can see this being bad for small games, because then deployments could happen too quickly. I tried again today, and it was much faster than it was on Monday. So it might have been on my end. It's still not nearly as fast as it used to be, but that's fine. What i was talking about is when watching latest turn, holding right arrow key would go through the turn so fast, even the orders bar wouldn't keep up. It was especially useful in large games, but I would often go well past where I wanted to stop. This was one of the comments from Scotto13. He said it would help in large games (such as 20 team games), to quickly determine how many territories he had on the first turn. Though, on turn one everybody should have the same number of territories, so i suppose you don't even need to find your name, just look at any player. A new comment: The Turn Order button brings up a "Current Cycle" window which contains the sequence of players for the turn, but also contains a list of how quickly players took their first turn. (Usually, that is not what you're looking for when you click on Turn Order.) But when there are many players, the descriptions of the speed of the first turn is so long that the actual turn order gets pushed off the top of the screen, so you have to pull the window down to see what you need (which is at the top). But, the button to close the window is all the way at the bottom of the window! Maybe the speed of the first turn could be another button (possibly within the Current Cycle window), or another piece of the Statistics tables? Two features from the player menu that I miss from the Flash version: (1) The ability to click a player name and see the number of territories and visible income, and (2) the ability to highlight a player's or team's territories by Ctrl-clicking the player or team name. #1 was always important to me when I started an auto-distribution game on a very large map, because I want to look for my territories (and so I want to know how many I'm looking for). ...And yes, I know, I can always check the game settings to see how many territories were assigned to me, it's just more tedious. #2 was another way of achieving that search for starting territories, because it would give you a picture of where your territories are. But it is just as useful in team games to locate your teammates' territories. As far as I can tell, the ability to highlight all of your own or a teammate's territories no longer exists? Maybe you could add a "Highlight Territories" button to the pop-up window that you get when you click a player? How about turning the Turn/History window into a pull-down tab in the top left, similar to the Game tab in the bottom left? On mobile, the orders page covers a lot of map, so if you close it, you miss cards being played and players being eliminated. Is it possible to have these events appear elsewhere? Maybe have the player tab flash when somebody is eliminated? (This was one of my comments that emk9 conveyed to you.) My thought was, make a flashing badge on the Player tab like you get on the Chat tab, that would appear when players surrendered, got booted, got eliminated, or took back control from the AI. For other cards (Delay, Priority, Diplo, Sanctions), maybe you could pop up the card image over the map with a description of what happened. For highlighting territories you need to go to Game -> Statistics (or Hotkey 'Y') there you have a magnifying glass that highlights the territories for all players. You can then even switch to the "Team" tab and highlight all your teams territories at once.